Salvation. That’s a term Christians use all the time, but what does it really mean? 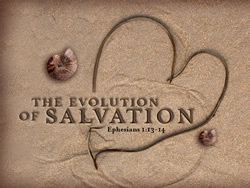 In this eye-opening message, THE EVOLUTION OF SALVATION from Pastor Jeff Schreve’s series, IT’S A WONDERFUL LIFE: Discovering Who You Are in Christ, he’ll lead you through what God has to say about the real meaning of and need for salvation.